October 1, 2010 - The 2010-11 season opener couldn't get any closer after one of the most eventful NBA off-seasons in history. Unfortunately, it wasn't as eventful for the Detroit Pistons. Aside from drafting promising talents in Greg Monroe and Terrico White, the organization had only made one off-season signing in Tracy McGrady, the former superstar whose injuries had finally caught up with his on-court performance. Coming off their first 50-loss season since 2001 and with a team sale looming, will the Pistons continue their losing ways and bad decisions, or will the next Pistons owner inherit a team that regained their winning culture? I've chosen to use UAR v9.9x for the roster file since it was released during the 2011 NBA finals, thus containing updated ratings for all players while including undrafted rookies like Jeremy Lin and Ish Smith. The final official Living Rosters aren't playable for Assoc mode, compelling me to find and use the UAR. Ever since I've lurked this site back in 2006, I was amazed not only by the mods (called "patches" back in the day) the community creates, but also the dynasty stories being posted here. At this point in time, I believe I now have an opportunity to create an association story of my own. I'm very open to suggestions to improve, so let me know by posting here. Last edited by JuicyShaqMeat on Fri Aug 31, 2018 10:07 pm, edited 3 times in total. Last edited by JuicyShaqMeat on Fri Aug 31, 2018 10:05 pm, edited 2 times in total. Another new story w00t! I like this Pistons team. Good luck. 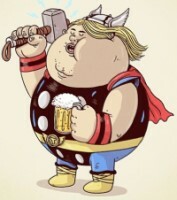 Breems wrote: Another new story w00t! I like this Pistons team. Good luck. Thanks, Breems! Your dynasty thread is among the many factors that inspired me to make this. Cool beans; good to see another random throwback story as well, as I've recently dipped back to NBA Live 10. Breems inspired me to start that as well. You have T-Mac; I have a slightly better T-Mac, but we both have old T-Mac's. Good to see Thierry's ghost live on in the form of sliders. cavs4872 wrote: Cool beans; good to see another random throwback story as well, as I've recently dipped back to NBA Live 10. Breems inspired me to start that as well. Watching old T-Mac saddened me, but it was glad to see him don a Pistons uniform at the very least. 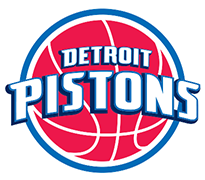 EAST RUTHERFORD, N.J. -- The new faces of the Detroit Pistons lead the charge against the New Jersey Nets in a blowout victory, 106-89. 7th overall pick Greg Monroe begins his NBA career with a double-double, scoring 14 points off the bench while claiming 11 rebounds. 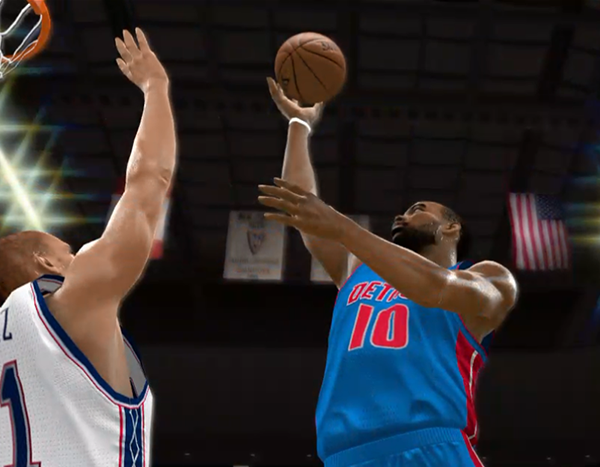 Off-season addition Tracy McGrady spearheads the team's scoring with 16 points, also coming off the bench. Making his first season appearance for the Nets, Deron Williams acquires 13 points and 8 assists. The all-star point guard was traded from the Utah Jazz after rumors of his involvement with coach Jerry Sloan's ouster surfaced. Center Brook Lopez also achieves a double-double with 13 points and 11 assists. Notable contributions include Travis Outlaw with 19 points and Anthony Morrow earning 18 points while shooting 4/10 from beyond the arc. Coach John Kuester praised his Pistons squad during the post-game interview, commending them for starting the season on a positive note. Cool start. T-Mac is back baby. At the very least you should be able to compete for the eighth seed, but you'll still be stuck in no-man's land all the same. Good start for a road game. Good start, and nice idea including results from around the league. I regret not doing that more often in my old Dynasty topics, meaning they felt very centred on my team. Not necessarily a bad thing, but it's great to have more context of what's going on with the rest of the NBA outside of the monthly recaps. Andrew wrote: Good start, and nice idea including results from around the league. I regret not doing that more often in my old Dynasty topics, meaning they felt very centred on my team. Not necessarily a bad thing, but it's great to have more context of what's going on with the rest of the NBA outside of the monthly recaps. I got the idea of including other game results from the local newspaper's format, although I was honestly surprised with that many games occuring on the same night. AUBURN HILLS, MI. 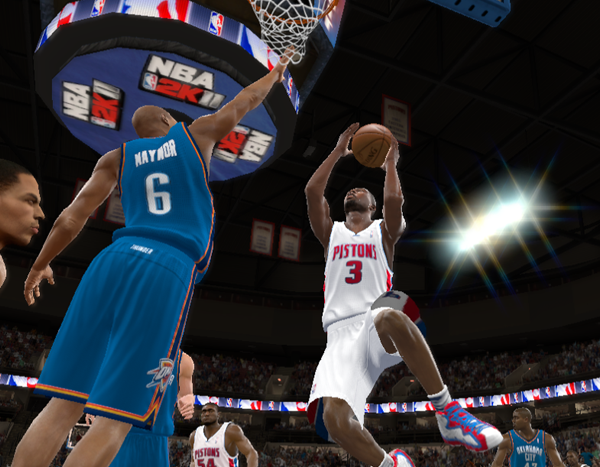 -- Clear skies were upon The Palace as the Detroit Pistons defeat the Oklahoma City Thunder, 99-82. Second-unit guard Ben Gordon gets the highest points with 19, while starter Rodney Stuckey finishes with a double-double, 18 points and 10 assists. Other starters scoring more than 10 include Richard Hamilton (18), Tayshaun Prince (12) and Charlie Villanueva (11), while Ben Wallace makes 11 rebounds. Last year's scoring champion Kevin Durant fills up the stat sheet with 23 points, 7 rebounds, 4 assists, 4 steals and 2 blocks all in 40 minutes. He also finishes the game without any turnovers. Thabo Sefolosha, James Harden and Serge Ibaka contribute double-digit performances with 16, 12 and 10 respectively. Rebounding seems pedestrian for Kendrick Perkins, making 13 boards tonight. "Winning our first season game was great," says Gordon after the contest. "But that was in [New] Jersey. Winning the second at home is even greater." I'll post this game's highlight reel soon. Stay tuned! It's a shame what happened to Gordon. For a while there, when he was with the Bulls, he was my favourite player. Andrew wrote: It's a shame what happened to Gordon. For a while there, when he was with the Bulls, he was my favourite player. Back then, I thought he resembled Kobe a little bit. I kinda felt bad relegating him on the bench every time I insert a created Jordan to the Bulls in Live 2005. I dunno if I'm remembering it correctly, but didn't you use to rock a banner sig featuring the past (MJ), the present (Gordon) and the future (Rose)? I forgot how many guards this team really had. Gordon, T-Mac, Hamilton, Stuckey. This team was kind of stacked at mid-to-lower-tier shooting guards for the time. wdt92 wrote: I forgot how many guards this team really had. Gordon, T-Mac, Hamilton, Stuckey. This team was kind of stacked at mid-to-lower-tier shooting guards for the time. Was thinking the same. Three of those players were damn near elite... I don't think Stuckey ever reached his potential. Funny that Hamilton ended up going to the Bulls. Seems so long ago, now. Nice job keeping Harden and Westbrook to a combined 20 points. Thank you for the kind comments and replies, everyone! Nostalgia truly is a strong force. That intro really was nostalgic for me. I forgot that 2K did that! Watching the highlights, it seemed Perk & Thabo were bigger threats than KD and Westbrook, was that the case? wdt92 wrote: That intro really was nostalgic for me. I forgot that 2K did that! Nah, Durant was a total beast in this game, I just couldn't stop him. But with Westbrook contained, Thabo shot the lights out in this game with 6-of-11 shooting (1-of-3 from beyond the arc), while Perkins dominated the boards (3 of his 13 rebounds were on offense). Man I totally forgot I uploaded a set of sliders, can you link me? Good luck, I'll be following!